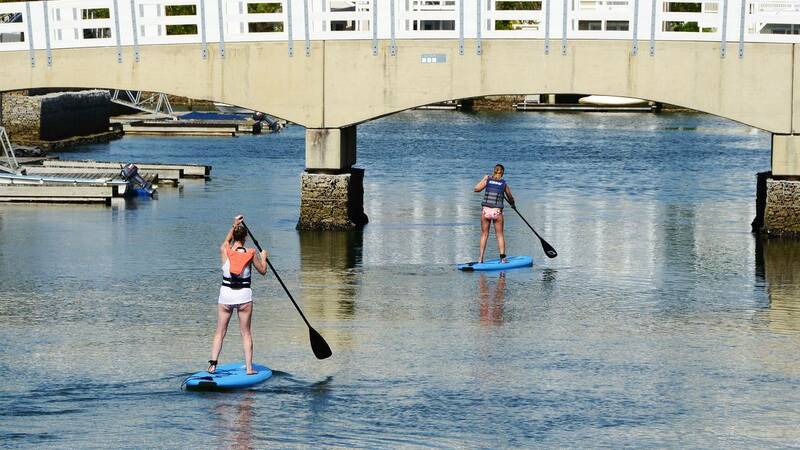 Explore the waterways of Thesen Island and the Knysna Estuary with the world’s fastest growing watersport, Stand-Up Paddling. 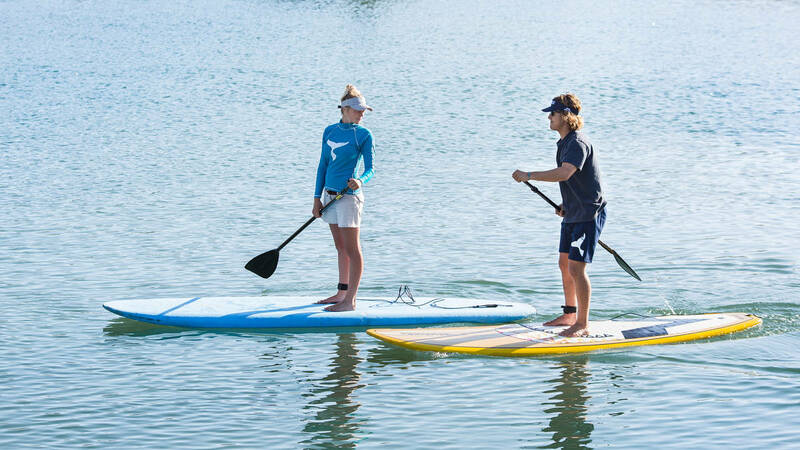 Stand-Up Paddling, or SUP for short, is easy, fun and guaranteed to keep you fit whilst enjoying the spectacular scenery of our waterways & lagoon. The calm waters of Thesen Island are ideal for beginners and the many inlets and coves are perfect for the more adventurous or experience paddlers. Eight top quality boards and paddles are available for rent by the hour. WhereCompany: Ocean Odyssey Charters & retail store TH 44, Long street Thesen Harbour Town Thesen Island Knysna GPS Directions to our offices for check-in on Thesen Island, Knysna. From George direction: drive into Knysna on N2. Turn right at the traffic lights onto Waterfront drive. Follow the road until the second set of traffic lights, turn right into Long Street, head all the way down the road until the roundabout, follow the roundabout to the right and find us on the right, opposite “Blue” the whale sculpture”. From Plettenberg Bay direction: Drive into Knysna on N2, At the third set of traffic lights, go Left into Waterfront Drive, at the next set of traffic lights, turn left into Long Street, head all the way down the road until the roundabout, follow the roundabout to the right, and find us on the right, opposite “Blue” the whale sculpture”.